Wondering How to Use SuperPoints? Everything Explained Here! + Invite Link! I get a lot of questions regarding SuperPoints...what is it? How do you earn free cash/prizes? How do you get the most out of it? So I decided to write this post explaining everything there is to know about this awesome program! Let me start of by saying unless you're a celebrity or have 1000s of friends, it's going to take more than a week (or more!) to really see what SuperPoints has to offer. I can also say though, that I myself have made well over $200 over the past few months, and a friend of mine just saved up enough points to get a Wii for FREE! With SuperPoints, you earn points for doing various "tasks" which you can then redeem for PayPal cash or merchandise. 500 points = $5.00 cash. Superpoints is INVITE only. This means you can't just go to the site and sign up. You need to be given a "special" invite link. If you need a link, feel free to email me at aeris321@gmail.com for an invite! There are 3 levels to SuperPoints. The higher your level, the faster you will be able to gain and redeem points. The first thing you need to do is get up to Basic level. This is simple to do...just validate your email and fill out your basic information. This will give you 30 button pushes a day and will allow you to redeem your points for cash when you have 2,500 points. The next level is Gold. To get to Gold, you need to invite 2 people to SuperPoints and complete your entire profile, including a profile pic. This will give you 50 button pushes a day and allow you to cash out with 1,000 points. With this level comes new perks, including taking emailed surveys for points and when your friends win points, you also win their points! The highest level is Platinum. To get to this level all you need to do is invite 5 people to SuperPoints. At this level you now have 100 daily button pushes and can cash out at just 500 points! Like Gold, you'll still win when your friends win and can take surveys. 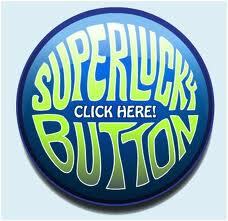 Lucky Button: This is definitely, in my opinion, the best way to earn points. Depending on your level, you get a certain amount of "pushes" of the button. Some pushes award points and even high-value invite links. Once I pushed for 300 points and also got a 300 point invite link. The person who used that link got 300 points for signing up, and I also got another 300 points when they signed up. So for one push, I got 600 points. Considering you only need 500 points to cash out, that was an awesome push! Friends: As mentioned above, invite your friends! This is the fastest way to earn since whatever points they win, you'll get the same amount! Videos: You can find videos under the "Earn Points" tab at the top of SuperPoints. This is also an easy thing to do...let a video play, walk away, and come back to points! Emails: SuperPoints will send you random emails, sometimes daily, that contain points. I'm not sure of the highest amount, but the most I've gotten was 50 points. Couldn't be any easier! With all that being said, I would definitely recommend SuperPoints and cordially invite you to join me!